Within one month 40 people were occupied with the distribution of the passes. Anyone who could prove either a business or family connection with Sweden got the special pass. The restrictions were necessary otherwise the pass would be worthless if freely distributed. This news travelled quickly among the Jews. The Swedish Legation was surrounded by a mass of people. With result Wallenberg´s department often moved. By November, 8000 passes had been distributed. Wallenberg attended to the needs of the people in his protection. By October he had 32 Refuge Houses set up, plus two hospitals and a field kitchen. He now had nearly 400 employees most of which were Jews. They did not have to wear the „Yellow Star“. Eichmann was planning a new deportation transport for the Budapest Jews. As Wallenberg discovered this he commissioned a meeting of the heads of the diplomatic services from the neutral states. This was directed by Nuntius Angelo Rotta. Together they passed a diplomatic note against deportation. On the 24th of August Rumania surrendered to Russia. This opened the border to the south. Horthy cancelled the deportation plans. Eichmann had to leave Hungary. Horthy formed a new government. The situation had relaxed. Wallenberg was hoping to return to Sweden. Beginning of October the Red Army suitated 80 Km south of Budadpest. In order to trick the Russians Horthy planned a ceasefire. On the 15th of October, in a radio broadcast he announced the war was over. The joy and jubilation by the Jews was premature. The Germans kidnapped Horthy´s son and forced him to surrender. The following day he was sent to Germany in exile. The Arrow Cross leader, Ferenc Szálasi, took over power. Some juvenile Arrow Cross members roamed the streets and murdered hundreds of Jews. The bodies were left on the streets or thrown in the Danube River. The Jews that were not rescued from the convoys, ended up in concentration camps, mainly Dachau and Mauthausen. In November 1944, according to a statement from Veesenmayer, 27.000 Jews, both male and female, headed for the Empire. A daily average of 2.000-4.000 people. Senior officer Hoess, head of the lower Danube division, mad a complaint about the marches. He complainted that this „unsuitable contigment“ of half starved, sick trash was severaly incriminating his division. Other Nazis complainted about the manner in which the marches were carried out in the public eye. As result, Szálasi on the 21st of November ordered, from there on women could only be deported when transport was available. With his the organisation collapsed. Over 76.000 Jews had to take part in the marches. Thousands of them died of hunger, were shot or died as result of the cold weather and the diseases. Following the revolt in October 1944 many Jews were arrested and sent to „Enforced Labour“ contingents, many of which were „protected Jews“. Following protests and efforts from the legation department of the neutral countries, a special „Enforced Labour Battalion“ was set up for protected Jews under the name „Battalion No. 701“. Szálasi acknowledged the protection passes again. The Jews were returned to Budapest. Raoul Wallenberg recognized the genuine alarm by the Salvadorian workers. Wallenberg looked after them, as he did for the Swedisch Jews. End of November the „Protected Forced Workers“ were due to be handed over to Germany. As in a previous deportation plan, in November 1944 Wallenberg managed to rescue hundreds of Swedish and Salvadorian Jews. The remainder were deported. Wallenberg and the Swiss Vice Consul Carl Lutz protested on a daily basis to the minister for Foreign Affairs about the raids on the Protection Houses. Also homes for children were raided. In one particular attack on a Swedish house all 180 residents were murdered. 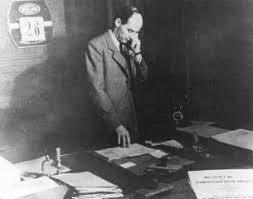 In January 1945, following dealings with a „gangleader“ Wallenberg succeeded in putting a stop to the raids. By the end of December, Raoul Wallenberg moved into an appartment in Pest. He wished to be closer to the people. To avoid abduction he was permanently on the move. On the 23rd of December 1944 Eichmann and his troops left Budapest to escape from the Russians. Before Eichmann´s departure he possible ordered the elimination of the „General Ghetto“, a total of 70.000 Jews. Szalai, a member of the Arrow Cross Party, who helped Wallenberg toward the end of the war, later described before a postwar People´s Tribunal, that he (Szalai) appeald to General Gerhard Schmidhuber, as dynamite and armed troops surrounded the ghetto in preparation for ist comple destruction: “I warned him that according to Wallenberg´s communication, if he did not prevent this crime he would be called to account as a murderer.” The massacre was called off.